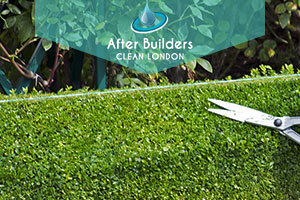 Our London-based company’s mission is to deliver a professional, reliable and affordable hedge trimming service with commitment to excellence on every job we tackle. Our passion for what we do translates in the quality of our work as results are always spectacular with us. We have searched high and low in order to recruit the most experienced and competent gardeners on our team. Their skill, commitment and expertise are truly unmatched as hundreds of regular customers will readily confirm. Customers can choose between one-off and regular hedge trimming at appealing prices. Call us if you want your nicely shaped hedges to become the envy of the street! Maintaining your hedges at their best is no piece of cake when you lack time, energy and specialised tools. Experience and skill also play a central role in trimming your hedges properly. Luckily, our gardeners possess all of the above qualities and can maintain your hedges neat, well-shaped and compact at a competitive price. We can pay you a visit for a free inspection of your hedges. This will help us determine their needs and set a price in advance. If you want your hedges to be trimmed in an ornamental shape of your choice, don’t hesitate to ask – our gardeners can recreate any topiary shape you want. If your hedgerow is way too overgrown, our experts might suggest coppicing. The hedges will be cut to ground level which will allow them to regrow anew from their base. Our team will take care of all the clippings, so there is no need to worry about that. 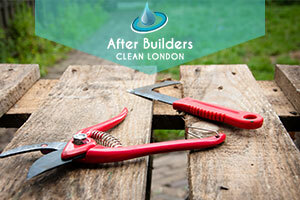 Book our hedge trimming specialists in London to improve the condition of your hedges and ensure healthy and compact growth. We are at your service Monday through Sunday, bank holidays included!